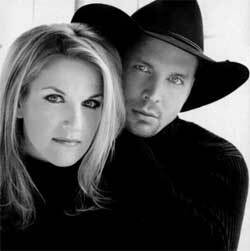 Garth Brooks and Trisha Yearwood will hold a flood relief concert on Friday, Dec. 17th at Bridgestone Arena in downtown Nashville. Governor Phil Bredesen, Mayor Karl Dean, Senator Lamar Alexander, Senator Bob Corker, Congressman Jim Cooper and State Rep. Marsha Blackburn were in attendance at a press conference this morning, October 28th, at the State Capitol. Ticket prices will be $25 and complete ticket information for the general public will be announced on Wednesday, November 3rd, at noon (CST). Proceeds from the concert will benefit the Community Foundation of Middle Tennessee‘s flood relief efforts. The historic May flood caused considerable damage throughout middle Tennessee and more than $2 billion in damage in Nashville.